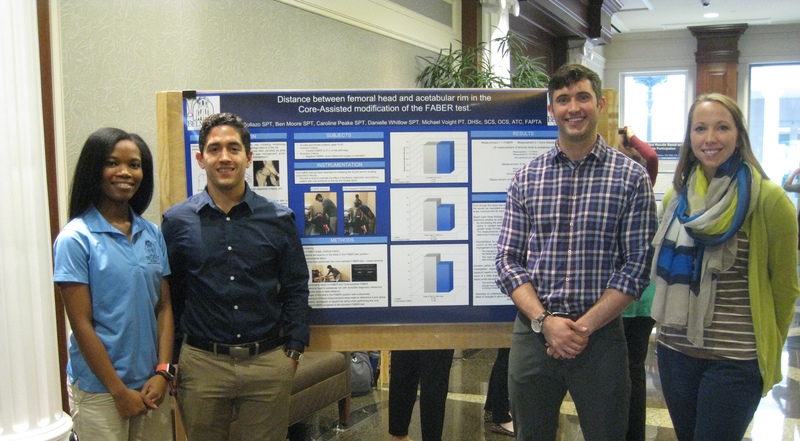 Belmont’s School of Physical Therapy recently held its annual research symposium and poster session featuring research projects from ten student groups. Topics covered were diverse and included projects on pediatrics, geriatrics, dementia, pathology and athletes including swimmers football players, golfers and professional dancers. Projects examined screening, diagnostics and intervention on over 930 subjects.